Contact Admiral on 0843 557 5167 to discuss Little Box, which is their Black Box Car Insurance policy. It has a five-star rating from Defaqto. This cover policy requires fitting a Little Box in your car to track your driving habits. Little Box insurance has lower premiums, especially at renewal if you have a good score. Contact Admiral for help with Little Box car insurance using these numbers. Contact Admiral on 0843 557 5167 to speak to customer services about Little Box. Find out more about the policy and get a quote if you are a new customer. Get information about theft tracking and curfews. If you are a new or young driver, learn how this policy can help you. The policy is also now available for vans, so you can check if your van is eligible. Call if you have any concerns about data collection with Little Box. You can call to complain if you are unhappy with your Little Box or any service relating to it or your policy. Admiral bases your premium on the information you provide when you apply. If the data from your Little Box contradicts your declarations, they might investigate. They will update your policy and increase your premium if you go over your mileage limit. You must contact Admiral to report any changes which would affect your premium, or any incidents you are involved in. This applies even if you do not want to make a claim. You can do so by calling 0844 248 2607. Changing vehicles will incur a £40 charge to fit a new box. You must allow Admiral to install a Little Box in the vehicle under your policy within 30 days of starting the Black Box insurance cover. The installers will be in contact with you to arrange the appointment within this time. You can choose a convenient time and location, but there might be some restrictions. They must be able to view and scan your driving licence photocard and driving licence paper before going ahead. There is a £30 charge for a missed or cancelled appointment. Call 0844 248 2608 to discuss your installation. After installation of your Little Box, it will monitor your regular driving behaviours. Admiral translates the data they collect into a driving score. Drivers with higher scores will be eligible for a lower premium when they renew the policy. Harsh acceleration and braking, driving after 10pm, and going over the speed limit will negatively impact your driving score. You can keep track of your score by logging into your personal Little Box Dashboard. Call Admiral on 0844 248 2607 if you need help with your score or the Dashboard. The Telematic unit, which is the Little Box, is compatible with all vehicle types made after 2002. It should not interfere with your vehicle. Their professional installers guarantee their work against any faults. This means that if your Little Box becomes defective, you can call 0844 248 2611 and arrange for an engineer to inspect, repair, or if necessary replace it, free of charge. If you tamper with the Little Box or cause some damage yourself, Admiral can terminate your insurance cover and demand payment to recover the costs. 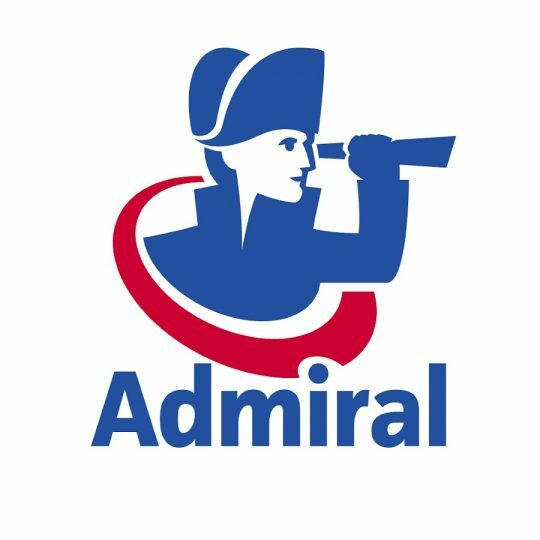 To cancel your Admiral Little Box insurance policy, call 0844 248 2612. You can cancel within 14 days before the installation of your Little Box. If it is already in your car, you will have to pay a disconnection charge of £100. When your policy is due for renewal, you can choose to cancel with no added cost. They will de-activate your Little Box so it will no longer work. However, if you want them to remove it, this will cost £100. This fee will apply if you cancel your policy midterm. In this case, other charges will apply too. Admiral does not have dedicated social media accounts for Little Box. You can still get help with your Little Box by contacting Admiral on their Facebook or Twitter pages. They respond to queries on weekdays when you include the policyholder name, date of birth, and postcode. Remember that you should not post this in public to protect yourself against theft or fraud. You can e-mail Admiral directly and privately by submitting an online contact form. If you would rather write to them on paper, post a letter to the Admiral head office.